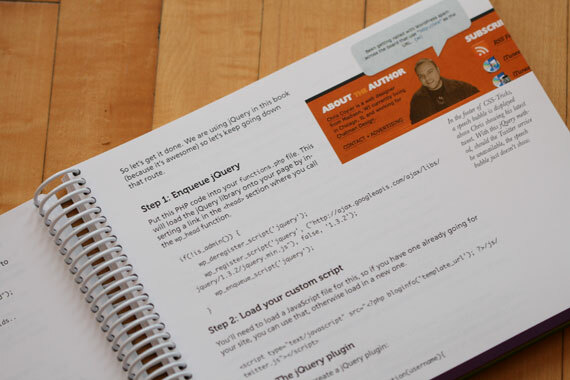 Digging Into WordPress – in Print! 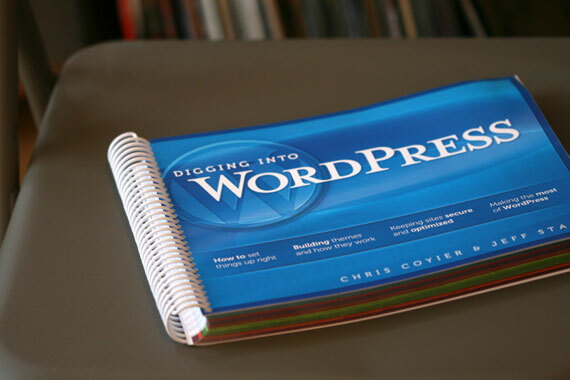 The print version of Digging Into WordPress the book is now available here. It’s been an awesome journey, taking this from idea to final product and having 100% control over everything. That is a story for another post, for now let’s take a look at the book! It’s $67, and automatically comes with the PDF version (more on that later). We realize that is toward the high end of the scale. There are a variety of reasons for this. This is 400 pages of full-color printing. We aren’t printing in massive quantities. In printing, the less you run the more you pay per-piece. It has been a ton of work getting this all together. Aside from some very helpful folks who helped us find errors after the PDF went out, every inch of it has been done by myself, Jeff, or our friends and family. We don’t have the efficiency of a company that does this day in and day out. Believe me, our margins are fairly tight on this. We are shipping internationally. But as you might suspect, it costs a good bit more. I asked the post office for the cheapest possible way to get it overseas, and places like the United Kingdom and Germany were around $28, so that’s what we need to charge. In the United States, shipping is closer to $5.00. 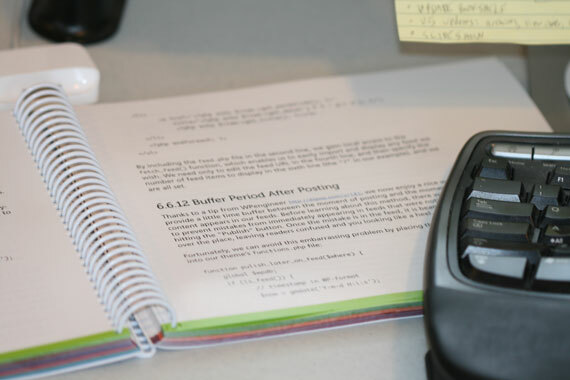 Illinois sales are subject to sales tax; international sales get VAT. Email us at sales@digwp.com (or use the contact form). Either forward us your receipt or just provide us with the full name and email used when buying the book. We’ll send you a discount code you can use during checkout. The code will be valued at whatever you paid for the book plus $5 off. So if you paid the full $27 for the PDF, we’ll send you a code worth $32. So you’ll end up paying $35. This helps us keep our margins intact and not lose money on these print books. My favorite… it’s spiral bound! For once, a tech book that will lay flat next to your keyboard. Every page is full color! And of course the slew of stuff we talk about. Perhaps most importantly, free updates to the PDF version for life. We already have plans in the works for updates. As a buyer, you’ll be emailed a free download link when those new versions go out. Our affiliate program for the book pays (a rocking) 50% for sales of the PDF. That part doesn’t change. But we obviously can’t afford to pay 50% for book sales. For book sales we are going to give 20%. What that works out to is basically the same exact payout for either purchase: $13.50 for a PDF sale, $13.40 for a book sale. Pretty damn good if you ask me. I’ve literally PayPal’d out thousands of dollars to affiliates. 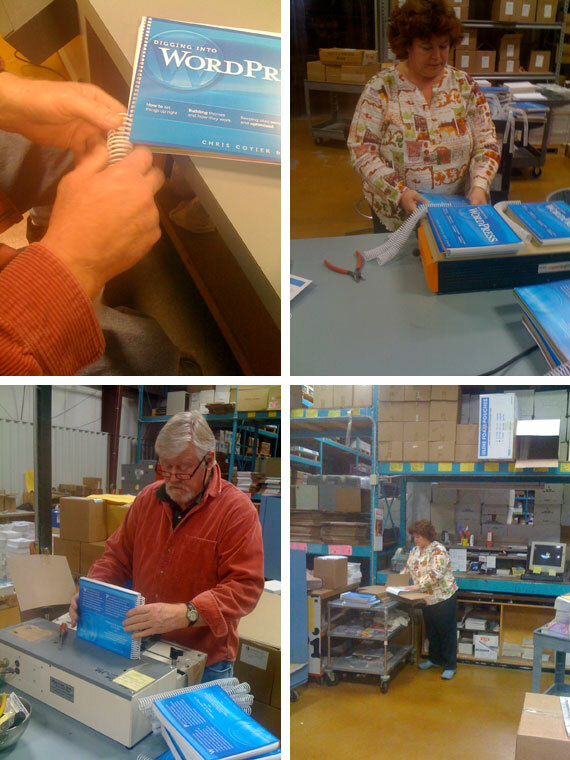 Look at my family hard at work! … and in case you missed it at the top, it’s available here.